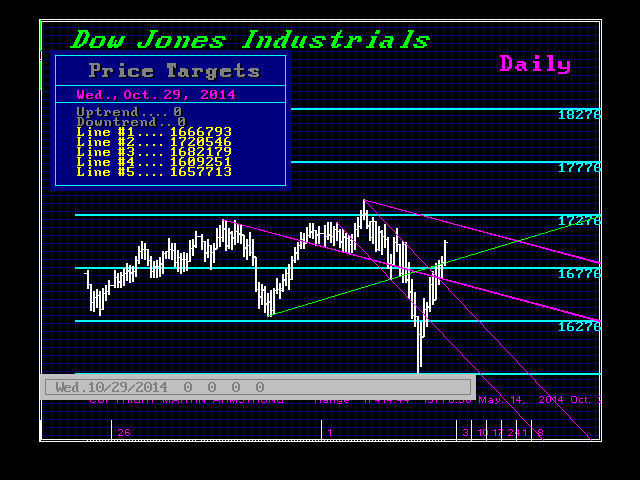 We really need to see a closing in the Dow above 17010 to imply we will see perhaps further upside. However, we have technical resistance at the 17200 area and we need a closing ABOVE 17160 to hint at further higher highs. We still see next week are critical so hold on to your hat, we may be in for a rise in volatility if we see a high form on Thursday. A closing today below 17032 will keep the market a bit contained whereas a closing BELOW 16932 will see it back off first then retest the resistance for Thursday. « Best Form of Government – Will Anything Ever Work?